‘Wallet-less’ society, which indicates doing economic activities just with a Smartphone, is establishing itself as a norm. Online shopping is responsible for 20% of entire consumption and it is mostly led by mobile shopping. Percentage of people using Smartphones instead of cash as a means of pay is also rising greatly every quarter. According to ‘online shopping’ trend announced by Statistics Korea on the 5th, percentage of online shopping out of amount of consumption in July was 18.2% that is the highest percentage ever. This indicates that a person orders two products online out of ten products that he or she purchases. Turnover of online shopping in July was calculated to be $8.43 billion (9.4567 trillion KRW), which is the highest ever since relevant statistics started to be available in 2001. Mobile shopping through Smartphones has led growth of online shopping. Turnover of mobile shopping in July was calculated to be $5.28 billion (5.9201 trillion KRW), which is 33.5% higher compared to July of 2017 and is the highest ever since statistics of mobile shopping started back in 2013. Percentage of mobile shopping accounts for 62.6% of online shopping. Percentage of mobile shopping out of online shopping in 2017 was 57.3%. Between January and July of this year, it has maintained 60% range. Simple payment market, which was officially bloomed in 2015, has carried ‘Smartphone economy’. As required use of certificates was abolished in March of 2015, many simple payment methods such as Kakao Pay, Payco, and Samsung Pay were launched one after the other. Simple payment stores card information into mobile devices and easily settles payments just by entering passwords and touching a payment terminal with a Smartphone. In the past, one had to go through a verification process after installing Active X to do online shopping. However, size of mobile shopping transactions is growing every year as this inconvenience was solved due to appearance of simple payment. Mobile banking is growing at a fast speed as well. 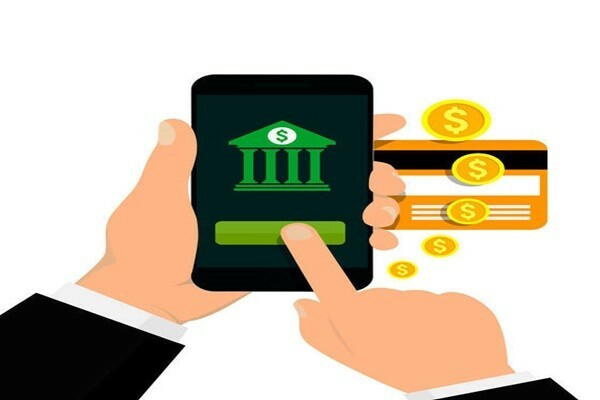 According to The Bank of Korea, daily average amount of account transfer through mobile banking during the first half of this year reached $713 million (800 billion KRW), which is the highest ever and is 67.6% increase compared to the first half of 2017. Daily average amount of account transfer through mobile banking is a value that includes simple wire transfers between individuals and payments for products. Daily average amount of account transfer through mobile banking has maintained double-figure growth rates as it showed 47.2% and 58.7% increase in the first half of 2017 ($445 million) and the second half of 2017 ($535 million) compared to the first half and the second half of 2016 respectively. There is a reason why there is an increase number of people using mobile channels for payments. Number of people who registered mobile banking by the end of June was 99.77 million people which is 23% higher than the first half of 2017. However, The Bank of Korea’s statistics only include amount of account-based mobile payments (simple wire transfers) and exclude simple payments based on credit cards. Percentage of mobile transactions would be more if simple payments were included into statistics.